Puente del Inca (“The Inca’s Bridge”), is a natural arch bridge over the Vacas River (a tributary of the Mendoza River), hot springs and an abandoned spa in Argentina. It is situated at 2,740 m (8,990 ft) above sea level in the Andes. It is supposed that once ice has covered the river and acted as support for avalanches of snow, dust and rocks. The dust over the ice over the river would have served as a path for the sulfurous water and petrified the surface. When the snow melted, the bridge remained by itself. In the early 20th century there was a large thermal resort and spa that used the hot springs to cure certain illnesses. The spa was crushed in 1971 by a landslide. During our visit (early 2007) it was not allowed to cross the arch and visit the buildings due to suspected weakness of the arch bridge. But something complementary can be done: at the nearby market tourists can by handicrafts and things hardened by the sulfurous water. Puente del Andes was also one of the last Argentine railway station of the Transandine Railway before the train continued into Chile. Tourists arrived by train to the resort. The railway is not in use anymore. 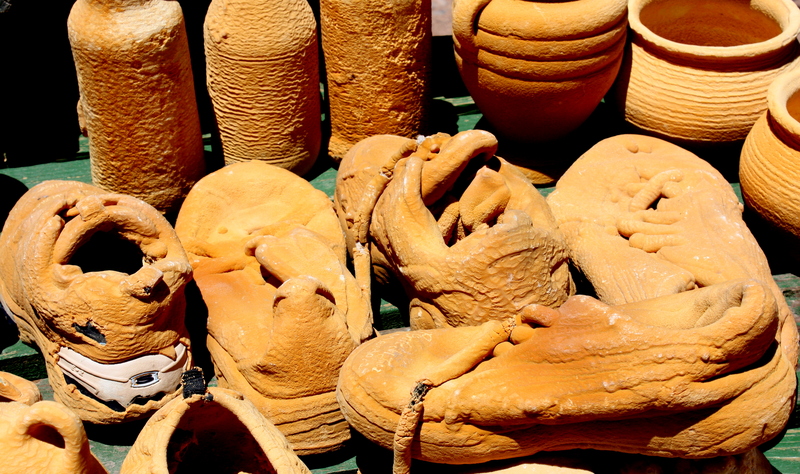 Handicrafts at the nearby market. Structures of the old thermal spa. Mud yellowed by sulphur is covering the stairs. Fascinating colors created by sulfurous water. View to the Andes and to the ruins of the spa crushed by a landslide 1971. The church is still standing but probably not used. 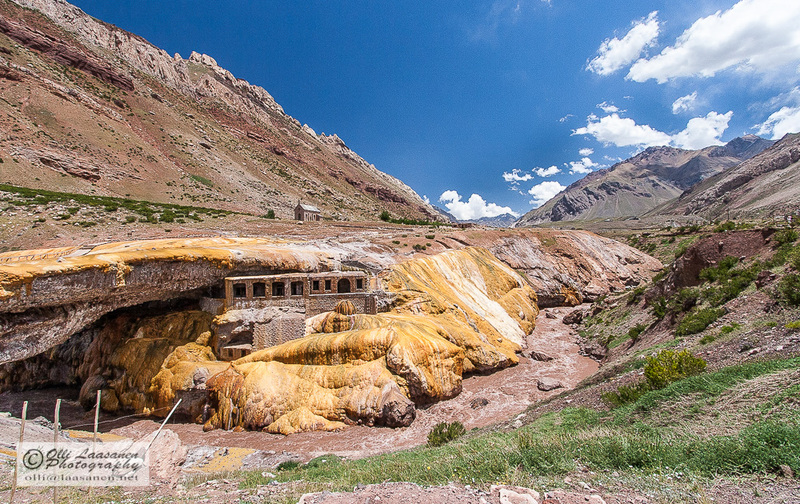 Gallery | This entry was posted in Argentina, Nature, Photo, photography, Travel, Valokuvaus and tagged hot spring, Mendoza, Puente del Inca, ruin, spa, The Andes. Bookmark the permalink. Weird landscapes! such remarkable experience narrated beautifully with well captures.. They truly are,Swati. Worth to visit, absolutely! – Thanks for stopping by.